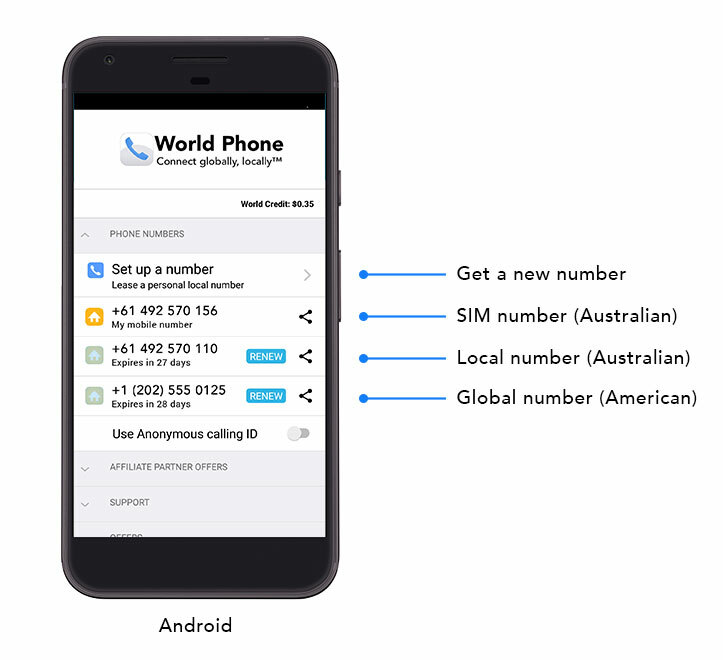 One of World Phone’s unique features is the ability to have multiple phone numbers to use through the App. They can be local numbers (Virtual ID) or international numbers (World ID). Depending on availability, you can lease numbers from 70+ countries. Use them for business, projects, travel, or to advertise online! To get a new phone number. 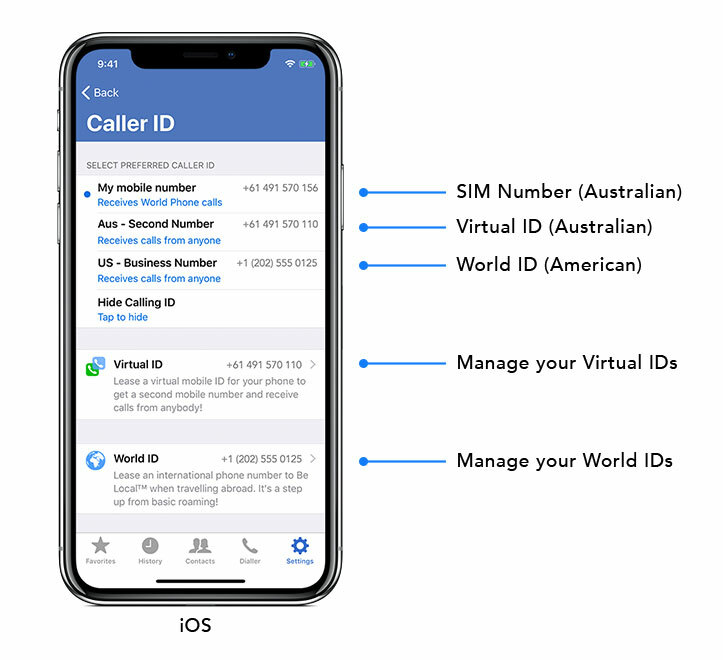 In iOS – Navigate to the Caller ID, Virtual ID, or World ID menus from the Settings menu in the App. In Android – Navigate to the Phone Numbers menu in Manage my account, under Settings. It’s easy to navigate and find a number of your choice. Number: The phone number available for lease. 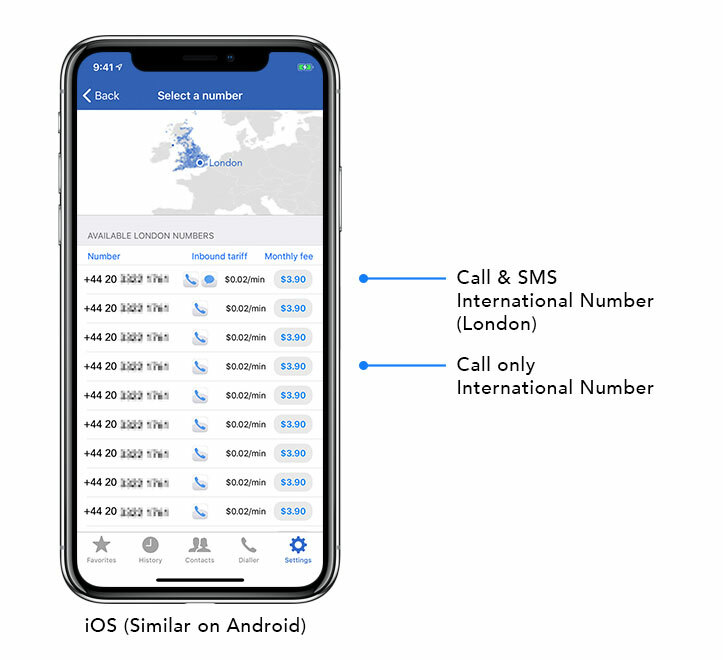 Available services: Seeing both a World Phone and World Message icon means that you can use the phone number across both Apps – use it to call or text message! If you only see the World Phone icon, this means you can only use it to call on World Phone, and you cannot text message using the number on World Message. Inbound tariff: The rate you pay per minute of an incoming call – billed per second. This uses your World Credit. You can easily label a phone number that you have leased. Simply click on the phone number from the Virtual ID or World ID menus and give it a new name.